Portico has been revealed as the new brand for Portsmouth based shipping and cargo handling company, known previously as MMD Shipping Services. As a deep-sea port, with excellent transport links by road, rail and sea, Portico has secured £15m worth of investment over the next 10 years, which will drive forward plans to modernise and improve the business. Feedback from customers, suppliers and industry leaders, along with staff insight, contributed towards the creation of a professional brand that was relevant to the marine and maritime industry it operates in, and the business it wants to become. Portico will convert to the official brand over the next few weeks following changes to digital and IT services. Customers are being advised of the changes as a changeover takes place to fully implement the new name. Mike Sellers, Portico’s managing director said: “As an established operator for many global shippers, we are considered a credible market leader in the industry and want a brand identity to match. “In response to market and customer demand we have redeveloped the site and already secured major contracts, firstly global offshore wind company MHI Vestas, Ferryspeed’s Channel Island service, and more recently with international fruit importer Seatrade. “These long-term contracts illustrate how we’re both diversifying our business by handling the world’s largest wind turbines, and responding to changes in the industry while also sustaining the core business of fresh imports. 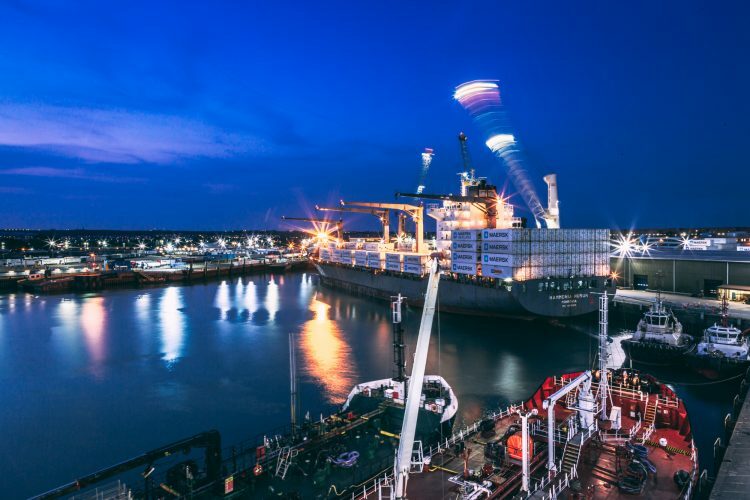 “Our sister site, Portsmouth International Port, has an impressive reputation for being commercially successful and complements Portico, but this link isn’t obvious. It’s important we have a brand that represents our true strengths and values as a company. Portico provides a number of services, including customs, shipping, stevedores, freight forwarding and cargo handling. The investment includes plans to relocate the head office to a prominent location, improve access for customers and staff and freeing up a further 11,000 m2 of quayside storage for project cargo or up to 1,600 TEU’s of containers. It will also allow significant restructuring of the site layout using automation to manage hauliers effectively and improved quayside space for handling cargo, all of which will increase Portico’s capacity and allow for larger ships to use the existing quays. Plans includes £50m over 20 years to fully optimise the site, with £15m kick-starting the development for the first 10 years. Steve Williams, Portico’s operations director said: “We are going through significant change and have a real opportunity to become a leading player in the shipping industry. “Our commercial team has been dealing with a record number of enquiries so it’s essential we’re able to manage an increase in business, which means this investment is vital. “We also have a new senior management team, which includes ports industry experts from the private sector, who will strengthen the service and develop the business plan. To keep changes as cost-effective as possible digital assets will be changed first, followed by other branded elements on a refresh and replenish basis in keeping with maintenance updates.